SEA is a two-week summer program for high-achieving, motivated students who will enter grades 1-8 in the fall. To enroll, students must either be identified for a gifted program or score at or above the 90th percentile on their Iowa Assessment Core Total. Students entering grades 1-3 who do not have test scores may enroll only if they enjoy fast-paced, challenging experiences. Students outside of the West Des Moines Community Schools must provide verification of inclusion in gifted programming and/or a copy of their most recent Iowa Assessments. 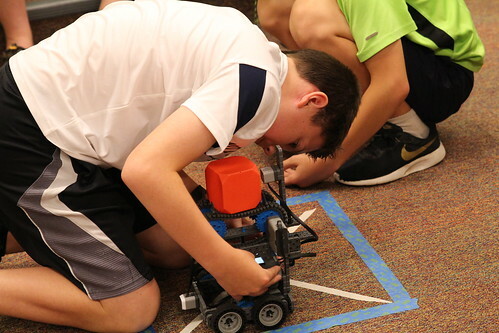 This year’s classes include Mindset and Mindfulness, Ancient Rome: Veni, Vidi, Vici, Mission: Problem Solving and Design, Digital Illustration, Macro/Micro Lego building, Elementary Spanish, plus many more fun and challenging classes. The deadline to enroll is April 8th, and classes fill quickly, so register today. If you have questions, need assistance with registration, or would like additional information, contact Kristine Milburn, 515-633-4052 or milburnk@wdmcs.org. Tuition for 2019 is $90 per class ($180 for two classes per student). Reduced tuition is available for qualified West Des Moines Community Schools students.